Now that the weather is changing I’m craving something warm and comforting to start the day with. Heidi Swanson is one of my favorite bloggers, her recipes are always unique, easy to prepare and free of artificial ingredients. I adapted two recipes into one, I loved the idea of coconut, lemon and poppy seeds for breakfast. It’s nice to bake up a batch of this on the weekend and then I can have a warm breakfast ready in minutes during the rest of the week. The variations for this are endless and you can get really creative. I think some mango layered into the mixture before baking would be lovely or you can switch things up and try a version with pumpkin and hazelnuts. I’m sure you’ll see another version or two from me before winter is over. Pre-heat the oven to 325 degrees. 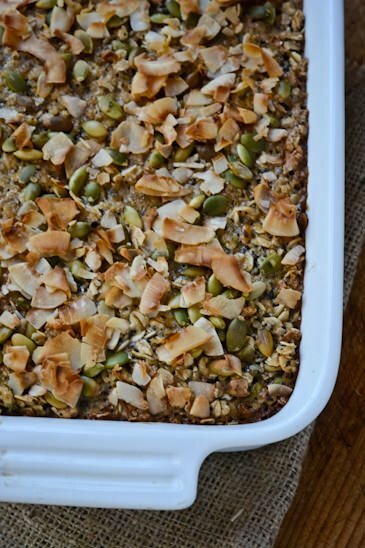 Spread the coconut flakes on a baking sheet in a thin layer and toast for 5-10 minutes stirring occasionally until fragrant and lightly browned. Increase the temperature of the oven to 375 degrees. 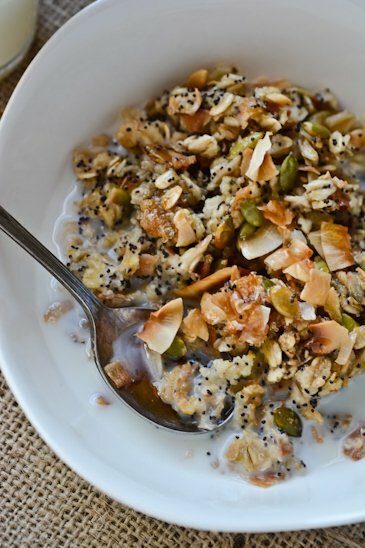 In a bowl mix together the oats, half the pumpkin seeds, half the coconut, the poppy seeds, baking powder and salt. In another bowl, whisk together the honey, coconut milk, lemon zest, egg and the vanilla. 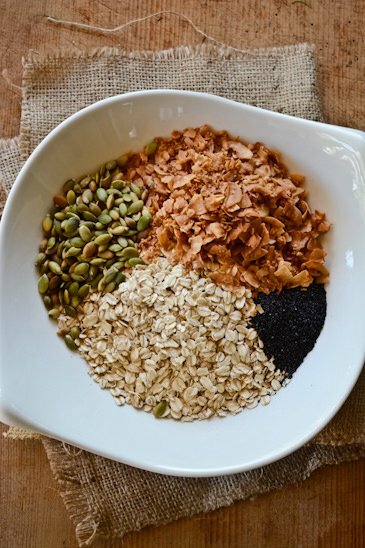 Add the oat mixture to the wet mixture and stir gently to combine. 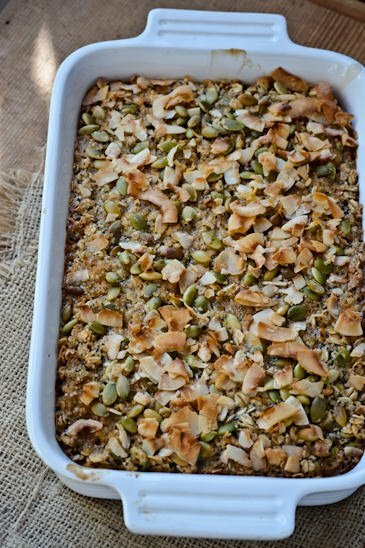 Pour the mixture into a 9-inch baking dish, top with the remaining pumpkin seeds and coconut and sprinkle with the turbanido sugar. Bake for 35-40 minutes, until the top is golden brown and the oats are set. Drizzle with additional honey and milk if desired. I’m so glad you liked it Katie! I try to come up with new flavor combinations with things I already have in my pantry. I actually hate stovetop oatmeal and I’m so glad that I found other ways to prepare it. 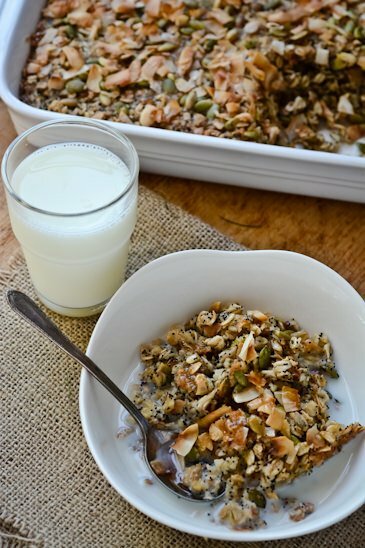 Now I make baked or overnight oatmeal every week!